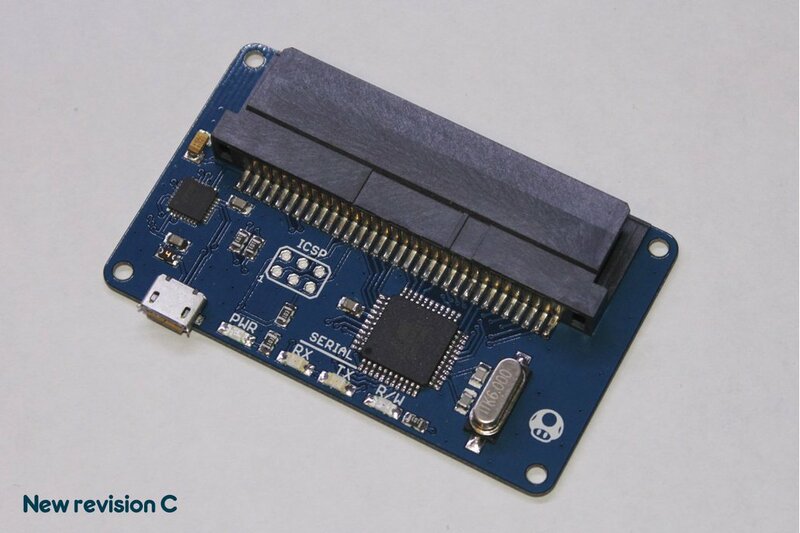 This Cart Flasher is a cartridge reader and programmer for use with your DIY cartridges or GameBoy cartridges. 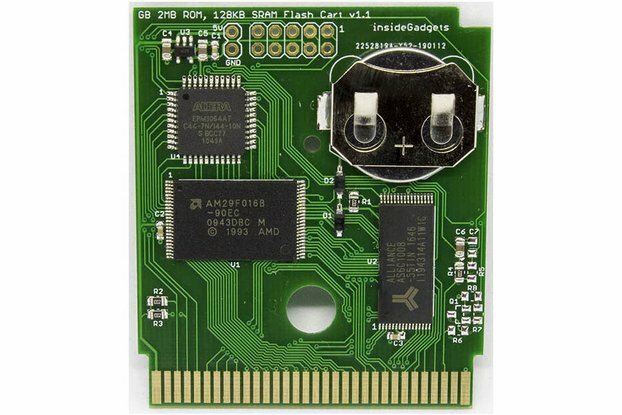 This Cart Flasher is a cartridge reader and programmer for use with your DIY cartridges or GameBoy cartridges. 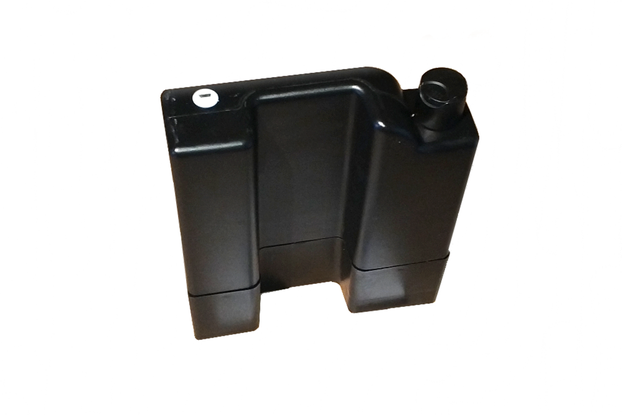 Designed as alternative cartridge reader and programmer for others existing devices. This development tool is compatible with DMG, Pocket and Color platforms. 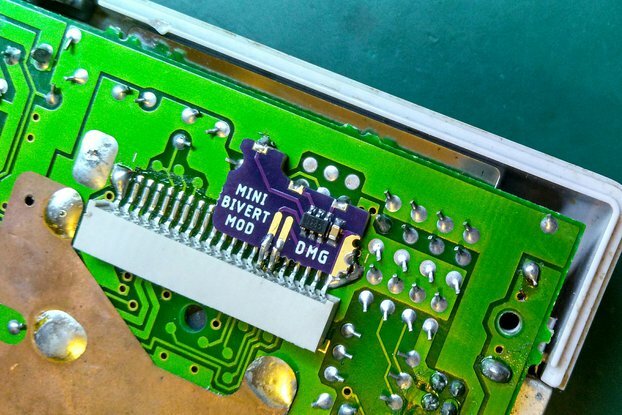 Programming (ROM) your own games into a programmable flash cartridge or DIY cartridges with replaced ROM chip (Guide DIY cartridge). Smaller and robust, with polyswitch to protect USB from bad cartridges. The new revision comes with a optional 3D printed case to make it cool and protect the electronics. Important Note for Windows 10 users: some buyers reports software crashes in some versions of Windows 10 when you try to select a value on drop-down list, please download the software first to test it, and ensure you aren't affected by this bug. Es excelente, para el precio que cuesta es excelente, soldaduras muy bien hechas, la placa vale muchísimo la pena comprarla, sirve para todo, como copiar tus partidas y cambiar la pila de los cartuchos, rescatar las fotos de tu GB Camera. Estoy muy satisfecho con la compra. I received the item as I ordered. haven't tried to use cart flasher to put the games, but i will try in a next weeks. hope everything goes well! Everythings fine! I've even ordered the biverted since then. Very well done equipment and with great technology. It would be cool if there were options for GBA and NDS games, anyway, I recommend it! Excellent product with a polished fit and finish. Packaged and shipped with care! The device was mostly plug and play, although make sure you have a micro USB cable for it. I recommend the version with the 3D printed housing as it helps with cartridge alignment. The 3D printed shell itself is quite high resolution without any ugly burrs or pokey edges. Very solid-feeling piece of equipment. I would recommend noting the download link for the GB Cart Flasher software on the note that is packaged with the device. A newbie may have missed it in the product's description, but I am sure a quick Google search would turn it up. Been using various flashers trying to flash roms to homemade carts, and nothing has worked until this one. El producto funciona genial y me llegó rápido, agradecer a J. Rodrigo de nuevo el trabajo que ha hecho, un saludo! I'm totally satisfied with the product itself, it works out of the box with the provided drivers and software. No problems so far, I tried flashing 7 games and they all worked. It would be great to have a documentation saying that you need to select RUMBLE to write the flash (that's the only one that worked for me so far) and that you need to erase the flash before re-writing it (no overwrite). You also need to select the size depending on the FILE SIZE you want to flash and not depending on the memory available on the cartridge (I bought the 4MB one and tried to flash games using 4MB rather than 128kB). Without documentation, even geek users will spend some time figuring out how it works because the attempts take time and if you don't chose RUMBLE you need to disconnect the cart and reconnect. Anyway a great product, the 3D model of the case can also be downloaded on thingiverse and printed on any 3D printer. The shipping was fast and it works perfect, the 3D printed case is also nice and smaller than I thought. Got my product on a Friday tired to use it but it won’t work. I contacted the guy on tindie found him on Instagram messaged him and sent a email. That was about a week ago still no reply on what to do with a faulty product. If you are going to buy careful with this person as he won’t get back to you if it won’t work as described. Tras probar varios meses este producto he de decir que cumple totalmente con lo que cumple. Un acabado de calidad, tamaño compacto, ni un solo fallo. Creo que, si lo que se quiere es, disponer de juegos 1:1 al original, con 100% de compatibilidad, y consumo super reducido, como el original, esta es la solución ideal. Además de que al tener un solo rom cada vez, no te lias como con el everdrive y similares, que metes mil juegos y no sabes cual disfrutar, de esta forma es como un juego normal, para mi eso es una ventaja. Muy satisfecho con la compra. Well designed and easy to use. The moment I plugged it in to my computer and downloaded the software it was ready to use. (I’m using a pc with windows 7) Usually independently made programs and such take a bit of messing with to get them to work on my computer, which is fine, but it was nice to have it working right away. All the games I dumped work perfectly in my emulator. the 3D printed case and lights look really nice and the usb cord it uses is really easy to come by so no worries about that. Works well, no issues whatsoever, 3-d printed case looks nice also. Quite a bit smaller than I thought it would be and would have preferred a combined lower shipping cost when buying with the cartridge. Received the package today. Shipping was fast and everything was carefully packaged. Tested it right away and works perfect. 3d printed case is nice and sturdy and the LED's burn bright! This product is great for writing flash cartridges. The time it took to be shipped was fast. It came in the package assembled nicely. Perfecto. Una maravilla de producto. Con este producto ya no hay porque temer la pérdida de cartuchos cuya pila está casi agotada. ¡Funciona perfectamente! I bought this product a few weeks ago and I've explored it enough to be able to review it. First things first, I can say that the shipping service worked very well: in exactly one week after the seller notified the shipping I received the Cart Flasher. I just found the shipping costs pretty high for such a small and light object even having tracking (which stopped to update the informations once it went to Madrid) into consideration, hence why I did not classify the shipping service as being perfect. The Cart Flasher has a phenomenal 3D printed shell that does protects the device for small accidents so I can definitely recommend people to spend extra to have the shell, it is worth it (especially if you are clumsy). The product does not come with a MicroUSB cable but anyone can get one easily. I had no issues with the installation of the drivers and the software itself. However, the documentation could be more user-friendly as I am certain that not every future buyer knows certain terminologies or other concepts about the Game Boy software/hardware and can be a little lost when starting to work with the Flasher for the first time. I personally had some trouble to figure out how to successfully inject SAV/RAM files back to the cartridges as there was nothing explaining me that in the troubleshooting, and I did not even have a response from the seller after messaging it (hence why I only gave 1 star to the Communication: my contact was ignored). I eventually figured out how to do it but I would definitely recommend the creation of a quick-start guide for future buyers to have more clear instructions of how to fully take advantage of the flasher for strandard use. Compatilibity-wise, the Flasher worked with all the 11 games (Pokémon are included in the list) without any issues. To keep it short, despite of minor issues I am very satisfied with the product. 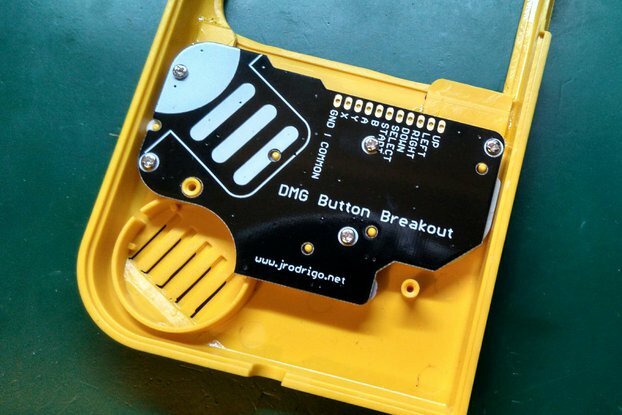 If you are among the slice of European Union players who are scared to lose all your efforts done to your Game Boy battery-powered saves you will definitely need this. It is worth noting that this is the best alternative I found opposed to others that are recommended online but are currently in highly galloping prices! Got around to trying the GB flasher yesterday. I had heard great things about this product and they all were true. I can now amongst other things quickly transfer saved data between cartridges and pc. From there I can (w/ various emulators) run, save, edit and most importantly transfer back the new sav file. This item works great. It would have been nice if it included a way to plug it into your computer (USB cords). I had some spare ones already. Perfect little chip. Does exactly what it is meant to. This is a great product and got the game saves out of my GB carts in a matter of seconds. Would definitely purchase again if I was in the same situation and I will have to look out for other products by this guy. Thank you for helping me preserve my childhood memories. Arrived early and it worked as promised, just plug-and-play once you get the accompanying software. Managed to backup the saves off my nearly battery-drained Pokemon carts without a problem. It's a must-have for any retro enthusiast! Item came on time. Arrived as described. Overall a good buy! Best product ever! Amazed at the efficiency this item gives to its user. Easy to install, easy to operate, easy to use, Like this or simpler? Communication with the seller is 6-star rated. Before putting my order, I messaged the seller regarding some instructions. Seller kindly took them into consideration. Cart-Flasher was shipped in no time, got it in less than a week, despite being an overseas shipment. Also the documentation and assembly guide (provided in the website) are self-explanatory. Overall a good purchase! Recommended to everyone! Definitely a must-buy for game boy fan and gamer. 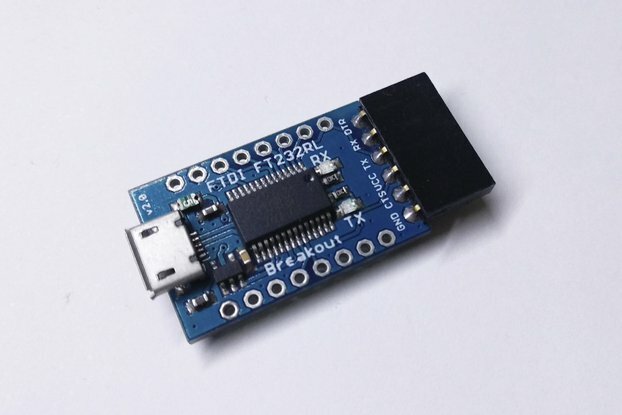 The device is smaller than a pack of chewing gum and really amazing and easy to use, connects with any mini USB and drivers and program easily downloaded from the page. Comes from Spain but the wait was well worth it. This is in my opinion the best legal reader I have found. An Amazing Piece of Kit! So I bought this to backup my save files for my old gameboy games and I have to admit I am pleasantly surprised by the user friendliness of this device. Not only does it do what it says on the tin (no actual tin - just a saying) It also does it with such ease. The build quality is also better than I imagined. I honestly have no negatives for this device, the software was easy to use and has a great user interface. The delivery was average and arrived in just over a week, the tracking was good up until the point it arrived in the UK, to which point no further updates were given, but I'm glad it arrived and as stated earlier, a great product and definitely value for money. Thanks Javier - I've recommended this product to others. All my lovely games and saves from the old games from my childhood are save and sound on my pc now! No dead battery will kill the tons of hours i spent on them. The menue is super easy to handle and with the 3D printed case it looks super cool. The flasher arrived safely, soundly and very fast. It works like a charm! I ordered it with the 3D-printed case, and it looks great. All parts are sturdy, fit together nicely, and are secured with screws. Thank you for this great product! Must have for any serious gamer! Works great for anyone looking to backup games with a soon to be dead battery. I ordered the Cart Flasher and everything went fine (fast delivery, save packaging). The device works like a charm. I plugged it in my computer (windows 7) and could use it to save my savegames from my old gameboy cardridges. Thank you for this great product! I love this flasher. It's a piece of hardware that's straight forward and easy to learn and use. Software downloads and works seamlessly with the flasher. Games can be converted to ROMs easily. I've already emulated a good amount of games with the flasher. In combination with the flash cart, non-licensed programs can be flashed onto a cart for play on the gameboy, LSDJ is a great and ideal ROM to port into the cart, for you chiptune fanatics out there! Excellent piece of hardware! Best way to keep GB Camera pictures backed up! I've been after a way to back up Game Boy Camera pictures for a very long time, and this little tool has answered all my prayers! It's fast and easy to set up, and the recommended software does exactly as it says on the tin! I can easily backup the SRAM on my GB Cameras, and convert them to images with tools online! It's also been great for dumping not only save files from my carts, but also the ROMs for emulator use! Definitely recommended for any serious GB Camera users! Nice flasher for GB, at a very good price. If you are thinking about making backups of your saves or games, this is what you need. The the device works perfectly and the software is easy to use. At first I had some trouble writing to my flash card but I just didn't know you had to clear the card before writing something new to it. The 3D printed case is of good quality and is a very nice addition. Overall, I'm incredibly happy with my purchase. The product i recived works very well. Also the documentation to install the necessary software is clear and well organized on the seller page. I'm really happy with this item which really worth the money i payed for. I would be happy to buy something else from you in future. Thanks a lot. It works great. It can backup roms and saves perfectly. The software is very easy to use. Can backup and rewrite save files and also can backup roms from the original cartridges. Brilliant backup device, thanks. I just receive the Cart Flasher for GameBoy. You just need a USB link and here you go, you can save up your old game ! No more battery issues ! Super simple to use and well built! The build quality is strong and it features a great compact and sturdy case - at a reasonable price. Shipping was fairly fast and software worked well with the flasher - backing up game save files and transferring them was fast, intuitive, and easy. (Note: Pokemon Gold and Silver save files need to be re-sized to 32 kb by deleting 2-3 lines on HxD) Would definitely recommend for individuals looking to flash saves as well as rom files. 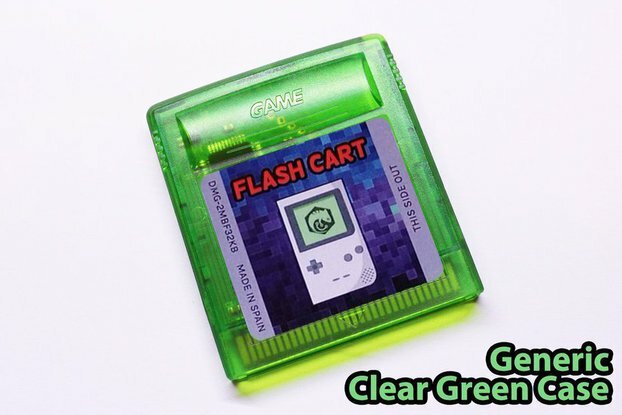 The Gameboy Cart Flasher is a great and easy to use product for flashing your GBC cartridges and coping your data from your cartridge to your pc. This way you can continue playing your game on an emulator or vice versa. While the shipment was unfortunately delayed by a few days, the delivery was still delivered within a week. The flasher with case looks reasonably rugged. The cartport is a perfect fit without any wobble. Same with the USB-Port. Really suprised - keep up the good work! Ripped the ROMs of my Pokémon games and backed up all save files from about 12 carts without a problem! Could also write back save files from my emulators! Only downside is you manually have to select the ROM and RAM size after reading it out. THANK YOU FOR THIS PERFECT PRODUCT AND SERVICE! The build quality is very good and with a case it looks nice. It plugs straight into the PC and the cartridges can be swapped whenever it isn't doing something. The software isn't as intuitive. You have to erase the ROM before writing the new one, and manually set size for both the ROM and save you write but also the ones you read. Unfortunately it will not always read ROM and save size correctly. An example I tried was Super Mario Land 2 which was seen as 512KB and after dumping, blackscreened. A dump of 1024 worked fine. Another was with a save file exactly 32768 bytes in size which is 32KB but the flashing software reported a "size error" despite the size being set to 32KB. Unchecking the size check, it flashed successfully, the tool reporting that it was 33KB in size. Works perfect, best GB dumper ever. This is the best GB dumper in the market and the most modern. Works perfect with the drivers and the app provided. Save files and backup cartridges are dumped perfect. Finally, I can extract photos from GameBoy Camera. This is very simple to use. Able to backup GameBoy and GameBoy Color game saves + roms without issues. I've been searching for ages for some kind of device which allows me to backup my Pokemon saves, so I could change the batteries without losing them. Well, this small cart flasher was the solution Heavens sent me! It works perfectly both reading and writing the ram of the cartridge (didn't try the other features, but I'm pretty sure they work nice), and though I'm usually quite hopeless with all this drivers stuff I got it working in no time. My thanks to the designer, who was really nice and comunicative. I recommend this product if you want to keep your Game Boy saves safe and sound. Great little piece of hardware! I was lucky enough to get the last cart flasher of the last batch before it was sold out, and this little guy is well worth the price I paid! Initially had a bit of a problem with the drivers (although that might have been down to user error on my behalf), but after that the flasher was very easy to use. I've used it to dump photos from my Game Boy Camera, and to dump a couple of save files. The build quality is great (and I must say it's a gorgeous colour blue), and I would happily recommend this! Worked perfectly and is remarkably well designed! I have been searching for a product to backup my old Pokemon saves for a long time now and after finding this project and looking at reviews and guides on how to use it, I just had to have it. The device came nicely wrapped in bubble wrap and in a parcel satchel. I followed a guide I found on YouTube "https://www.youtube.com/watch?v=IyhFiYv5RrA" (the program is very straight forward but I didn't want to accidentally do something stupid like delete my save data and you might have to clean your cartridge contacts with rubbing alcohol if your game isn't recognised which the video pointed out) and was able to successfully backup all my save files to my PC. One improvement I would recommend (if possible) is to enable the device to function with Gameboy Advance cartridges. I don't know if this can be done retroactively to existing models as the hardware itself may have to be modified but it could be an issue with the software as the program is old and was designed by other people so it might require someone to modify the existing program or develop a new one. 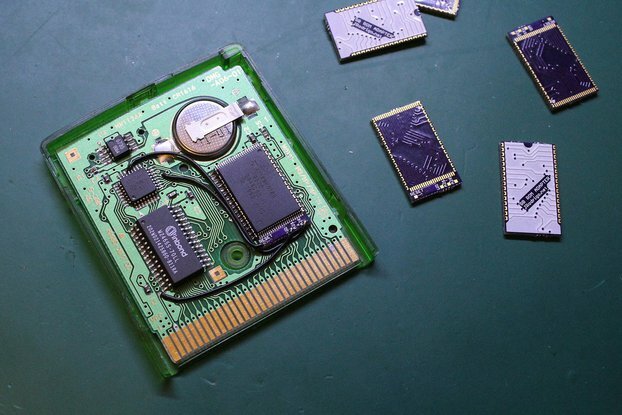 Besides that suggestion, the device performs exactly as it is describes and is a must have for anyone wanting to preserve their gameboy saves forever! Long time i was looking for stock back this item, finally i've got it and i dumped part of my adolescence. No words thanks this. And almost priceless. Thank you a lot! As a Pokemon player since the early days, the thought of losing my complete save files has been a sort of looming dismay. This product is exactly what I always wanted - a single-item tool to back up save files and restore them when the battery was replaced. I haven't had any need to test the other features such as cart flashing, but I can say that for my needs the quality of the hardware and software are perfect. Hats off to the designer! Fantastic product! Works perfectly. Thanks very much! It took me a few attempts to get used to the software, however the whole product is extremely convenient. Other than having a few issues with trying to read some of my homebrew carts (could be due to some form of protection, who knows), this cart reader works really really well! Top notch build quality, well worth the money for sure! I was able to get the ROMs off my cartridges and place them in my retropie build with ease, thank you! Used it to dump pictures from my Gameboy Camera! The flasher tool crashes on my Windows 10 machine, but worked great in an XP virtual machine. Shipping to California took two weeks. The product is great! The customer service might be even better! This guy will help you figure everything out if you have questions and don't know anything about this sort of stuff (like me). I would highly recommend this product! The product works great, the documentation is a bit hard to understand but i think that's just me. He answers fast and with detail, very easy to communicate and discuse details. Item arrives quickly considering it shipped from Spain to the US. 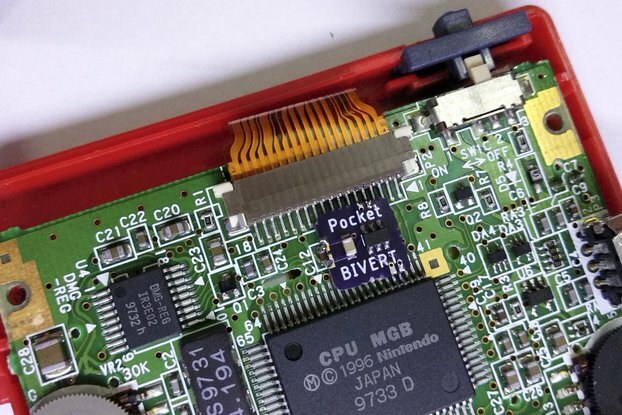 It backs up saves from GBA and GBC cartridges, and lets you write new ones. This is a one-of-a-kind product for a very reasonable price. Good build quality, good design. Utility software failed to compile on a modern Linux distro (not really an issue since the source is available, but the Windows binary worked fine. I ordered this product to backup my Pokemon Red Version. If you're reading this and are on the fence, just make the purchase. It worked perfectly without and issues. Completely worth it. I wanted to be be able to backup Gameboy games and save files, and now I can. The second thing is you need to go import > battery save to import the RAM .sav files into Virtual Boy Advanced. Other than that 10/10 would recommend, definitely going to buy the flash cart in the future too. One more thing to note. I was able to get my Gameboy Color Pokemon Pinball game to transfer by selecting MBC5 rather than rumble. This is both the ROM and RAM. E' il Santo Graal dell'elettronica, e della nostalgia. Adatto a chi come me ha il timore di perdere i propri salvataggi delle proprie cartucce di Pokemon Rosso ed Oro (ma anche tutto il resto dei giochi per GameBoy e GameBoy Colour). Testato e perfettamente funzionante su Rosso ed Oro! Ora la mia infanzia è al sicuro! PS: Spedizione dalla Spagna, verso l'Italia, in poco meno di una settimana. Fantastico! Seller was quick to answer questions, device clearly well-built and works perfectly. Could read even the most strange cartridges without any issues and is easy to use. Will work well even without case. I ordered the optional 3D printed case and I'm quite happy with it. It even has some light channeling bits for the LEDs to shine through which is a nice touch. It only took a few hours to sit down and read my whole collection of GB and GBC ROMs and .sav files. Nearly everything read correctly on the first go except one cartridge which took two tries, but I hadn't blown on the contacts of that one first which I suggest. The ROM size for one cartridge couldn't be read correctly and strangely enough it turned out to be 4MB from trial and error. I've also tested writing .sav files back to cartridges and that also works fine. I have not tested writing to a FLASH cart because I don't have one and that's not really why I bought this in the first place. A simple and affordable way to backup save files from game boy karts, and also do other more advanced kart programming. It worked great out of the box, but the lack of documentation is a little annoying. I got it to read the rom from a rumble game, but I had to guess the game size, as the software could not detect it. I'm glad they linked the drivers and software, but the software could be a bit intimidating for new users. Even a basic 'Quick Start' guide would have been nice. Great product. Build quality is excellent (printed case is highly recommended) and the software is very easy to install and understand. 10/10 would buy again! I downloaded my original Pokemon yellow sav before the cartridge battery died. That's all I wanted and it worked like a charm. My childhood is now immortal! Fantastic product! Simple and intuitive. If you're looking to back up your old cartridge saves, forget about that expensive, vintage hardware; this is all you need. This is a great product. I downloaded the files linked on the product page, plugged the Flasher into my PC via mini-USB, and copied my Pokemon Red save onto my hard drive within minutes. The software was intuitive, and seemed effective and robust, although I must admit I did not explore its features any further than game save backups. The flasher itself is nice and compact, and seems well-built and well-designed. It arrived already installed in its sturdy 3D-printed casing. My particular casing had a minor cosmetic blemish, but it was none the less impressive. NOTE: You will want to make sure to scan the cart with the software, and apply the correct file size setting to your export. Incorrect file sizes may affect its compatibility with other software. There are a number of products like this available, but with this they have all become obsolete. Easy to use, effective, fast and efficient, not to mention extremely easy to order, a great price point, and fast delivery. I would recommend this to anyone looking for a Game Boy cart flasher. I would like to note that the shipping tracking information never got updated after being received, that could be a problem between the USA and Spain, It took 20 days to get here, which isn't that bad. I'm excited, I might work to get this to work with a Raspberry Pi Zero, so I can run an emulator that plays the real roms. I don't know that it will work, or when I will have the time. But it should be cool. It did take two attempts to read my Pokemon Gold cartridge, but that could be due to the bad battery. The emulator I used to test showed a bad checksum error on the first try. I'm satisfied with the read speeds, and it's probably the best on the market for reading ROMs to a PC. You did a great job. The cart flasher itself looks amazing. Looks like a factory-grade device, which worth every cent! Works out of the box, the program runs well under Win 8.1. But hey, no more lost savegames! I was about to buy the components to build my own GB cart reader, then came up with this product. The price is really fit to the components and work needed to craft it, a really good deal indeed. Shipping: really fast, and very well packed, perfectly protected from any shipment damange. Product: very good end quality, was actually tinier than I expected. From the looks you'd never say it's home made as it seems to be something you'd find at any tech store. Functionality: worked perfectly fine for everything I've tried, fast and clean. Software: the seller has nothing to do with the software. It can be a little intimidating at first if you know nothing about the GB games memory formats, but the seller offered to solve any doubts that may appear, which is kinda nice. The software is actually quite simple to use if you know what the options are for. I would personally update the user interface so it has a simple and advanced mode. Advanced mode would be the same as now, but simple mode would use auto-detection to automatically get the cart settings for RAM, instead of reading the cart each time to make sure the correct size is dumped/written. The software is open source too, so no problem at all. Bad points: if I had to say any, I would just say that it should be stated that the software already installs the needed drivers, as I though I had to install them separately, which was a little confusing to set up at first. Also, I expected the reader to hold a micro usb, but it has mini usb; not that it has been a problem. but it's something I think might be considered in future revisions of the hardware. Overall: If you have to buy/build a GB cart reader, this is it. Cheap (even compared with any other build it yourself options), really good end quality and does its job perfectly. USB is a really handy way to manage GB carts. Now I can change the batteries! Waiting for stock on the GB flashcarts to test some homebrew on real hardware! I bought this mainly to pull some photos off my Gameboy camera, and it worked after a little research (the RAM size and gameboycamera dump). As long as you read the documentation, it's very easy to use with regular cartridges. I was able to back up old Pokemon save games easily, and double checked the files using VBA. The cart itself feels solid (I got mine with the case), and I think it took less than 2 weeks to arrive at my house. I'm considering buying the flash cart just to mess around with. Great product! Best purchase ive ever made for my gameboy collection. Great product, does exactly what it advertises. Ive backed up all my DMG games and am working on homemade cartridge. Cant wait to do my own mods with it. Quick shipping, high quality product! I just received mine yesterday, and I have to say I'm impressed. The board assembly is top notch, no leftover flux or other residue visible. The small board size is impressive as well. Props for putting the case files on Thingiverse, rather than forcing me to buy from you. All in all, it works great. Shipping took exactly 1 week to get to my house in the midwest USA, which is totally acceptable. Since the software is somewhat tricky to use, some additional documentation would be nice to have. Also the software is technically supported on Windows, OSX, and Linux so cross platform instructions would be really nice! Overall, great seller, great product, and a totally reasonable price. Would recommend this product to anyone! I bought it mainly to transfer my Game Boy Camera photos to my PC and it does it great (tested on Linux and Windows)! There is not much you can ask for. The build quality is very high and the board looks nice. Sadly it's all covered by the case I also ordered. 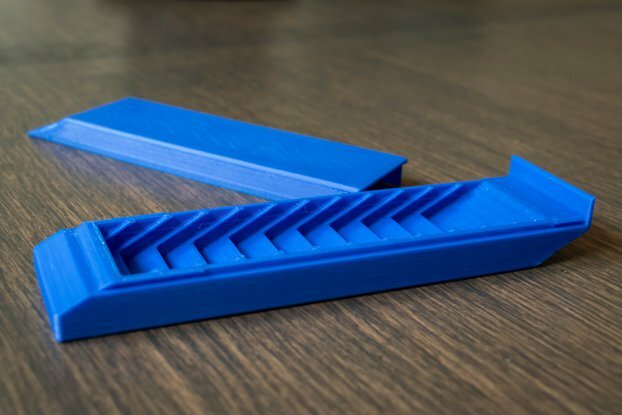 The case has the typical layered look that most 3D printed products have. With some fine-grained sandpaper you can polish the surface to make it look better. Nonetheless I'd recommend to order the case for the cartridge reader. It makes inserting and removing the cartridges a lot easier and protects the board during shipping. I'll definitely plan to buy the flash cart to utilize its full potential. Exactly what I was looking for to backup gameboy saves! I am one that can sleep better knowing my game saves are backed up on my PC, and gameboy carts were one that I was not able to back up. After looking online, everyone suggests that you should get a ~20$ mega memory card and a ~40-50$ flash card. Then, copy your game onto the memory card, then from there onto the flash card, and from there to your PC. Seemed like there had to be another way. Luckily I came across The Cart Flasher for GameBoy, which is MUCH easier, and costs much less. Win/win/win! When I found it, it was out of stock and was I a little disappointed, so I contacted the seller to see if there was any plan for more stock; he got right back to me and said, "yep there are more coming". I ordered it as soon as I got the email saying there was more stock (be sure to add it to your wishlist! ), and it arrived about 2 weeks later (not bad considering it came from Spain to USA). I missed the mail guy, and had to go to the post office, but it shipped well and was packaged perfect, so it looked great. I got it with the 3d printed case, which is super cool. It works perfect - I've backed up all my save games no problem. The only problem is I wish I had this cart flasher years ago, since the battery on my Pokemon Gold has already gone out. Note: I haven't looked too much into the documentation (probably not smart enough to understand it anyway), but I'll give it 5 stars because I'm sure that is what it is. If you want to back up saves - BUY THIS NOW - you don't want the batteries going out on you, trust me! You get an awesome product that is super easy to use, super cheap compared to alternatives, and you will be helping out a super cool guy! Product: Appears just like pictures on website and works as described. Backed up all of my old game saves and ROMS. Got mine with the gray 3D printed enclosure, feels nice, not really cheap plastic. Games pop in and out smoothly. All LEDs work. Uses USB 2.0 interface. Great job developer, its awesome and worth it! Software: Software listed on the page works for me on Win10. If one day the link dies, I found what looks like a source at "https://sourceforge.net/projects/gbcf/". With software, when you backup your game ROMs or saves, make sure you first click Cart Info and then set the Flash and RAM to the numbers listed in the text box about the cartridge so that the files work properly. Each cartridge has their own specifications. When I tried to use my mouse to change settings that used a dropdown selection bar, it didn't work too well and program often became unresponse. However, a good workaround is to use tab to move the selected area/button around the program and when it reaches the FLASH or RAM categories, use the up and down arrow keys to make the selection, and then click your desired action. Also, when I installed the software, I did not have to separately download the driver because there was an option to install it included inside of the executable. Great! Shipping: Shipped from Barcelona, Spain to Virginia, USA. Ordered 3/2. Shipped 3/4. Arrived at house on 3/14. Was not home when arrived, went to post office to pick up on 3/16. In small yellow bubble envelope with apparatus inside of bubble wrap. Small paper with general information about store/purchase included with one spelling error, problems written as problema. Developer asked for a review of the product on the included paper, and the product works great and looks cool, so here it is. Overall, I would recommend. To anyone like "Hmmmmm...should I? ", you totally should! The device works as intended. Installation is done in 2 minutes. Just perfect. It can read/write all GB/GBC cartridges. I can receive immediately the goods . Products not only neatly , was amazing . I hope that the seller can sell a lot of . Amazing product. Works like a charm! I bought this device to transfer the photos off my Game Boy Camera and onto my computer. It shipped fast, came well packed, and most importantly it works perfectly! It took me less than two minutes to get everything working. Not only have I used it to snag pictures, but I've also been experimenting with editing my Pokemon save data, too! It's quite the handy little tool. Would definitely recommend.